Tavie Spivey of Gilmer; Brenda Spencer of Henderson; LeAnn Bemis of Longview; and Sissy Perry of Corsicana pay tribute to some the greatest musicians in the history of rock n roll, including Jerry Lee Lewis, the Angels, Bill Haley & His Comets, Darlene Love, the Flamingos, the Chordettes, The Dixie Cups, and of course, Elvis. Tickets are on sale now for the fifth installment of the Cherokee Civic Theatre’s Raise the Roof concert series, featuring the all-female quartet from East Texas, Shake, Rattle & Roll, 7:30 p.m., Saturday, Sept. 24 at the Cherokee Civic Theatre in Rusk. Advance tickets are $15 and can be reserved by visiting the theatre’s website, www.cherokeetheatre.net or calling the box office at 903-683-2131. Proceeds from the concert will go toward the theatre’s Raise the Roof fund drive, to repair the theatre’s roof. 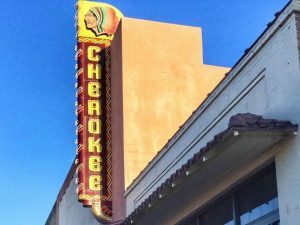 The mission of Cherokee Civic Theatre is to afford opportunities for cultural and artistic enrichment in East Texas by providing a venue for local talent to produce live theatre for the entertainment of diverse audiences. Cherokee Civic Theatre is located at 157 W. Fifth St., a block off the courthouse square in beautiful downtown Rusk. Find out how to take advantage of the many perks offered to theatre members by visiting the theatre’s website, www.cherokeetheatre.net. 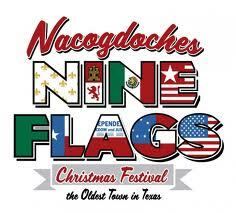 NACOGDOCHES- Want to learn more about entertaining for the holidays? Then join us for “A Down-Home Christmas” sponsored by Kroger on Thursday, December 6. Guests will learn how to effectively and beautifully execute cooking, baking, and entertaining for the holidays with help from local chef, Angela Bradford, and local baker, Cindy Metteauer. Jefferson, Texas- Grilling on the Bayou is coming back to Vale Street Gardens, 306 Vale Street, Jefferson, Texas on Saturday, October 10, 2015, from 10:00 am to 3:00 pm (or until food runs out). Volunteer Big Green Egg Chefs will purchase and prepare enough food to be served in small portions to hundreds of Tasters who will pay an entry fee to sample the variety of foods cooked on Big Green Egg cookers. Proceeds benefit the historic Jefferson Carnegie Library. The event is sponsored by Friends of Jefferson Carnegie Library and Wholesale National Supply’s Longview location.